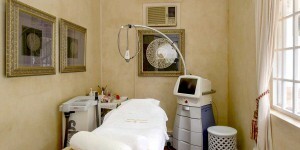 Learn about our clinic and the skin treatments and products it provides. 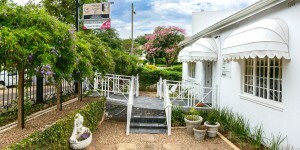 Durban Cosmetic Laser Centre is a modern and well equipped clinic that is located at 461 Innes Road (opposite Mitchell Park), Morningside, Durban. The clinic combines a warm, comfortable and relaxing environment with professional, friendly and confident service. Durban Cosmetic Laser Centre provides comprehensive aesthetic treatments for both men and woman of all ages and our clinicians have 30 years experience in the field of hair removal and skin treatments. Our objective is to establish and maintain a close personal relationship with our clients in order to provide the best possible treatment and advice. We understand the importance of and difficulties with achieving and maintaining a healthy and youthful appearance. We also understand that your skin is as individual as you are and requires a customised approach. Durban Cosmetic Laser Centre is an industry leader in IPL (Intense Pulse Light) VascuLight therapy and offers treatment for non invasive skin resurfacing, hair removal, leg veins and photo rejuvenation. Our products and technology are developed in co-operation with leading medical researchers as well as physicians who use them. Our treatments are performed by licensed, trained and certified medical and aesthetic professionals and we only utilise “gold standard” technology that bares the CE (Conformité Européene) mark and/or the FDA (American Food and Drug Administration) mark for safety and results.